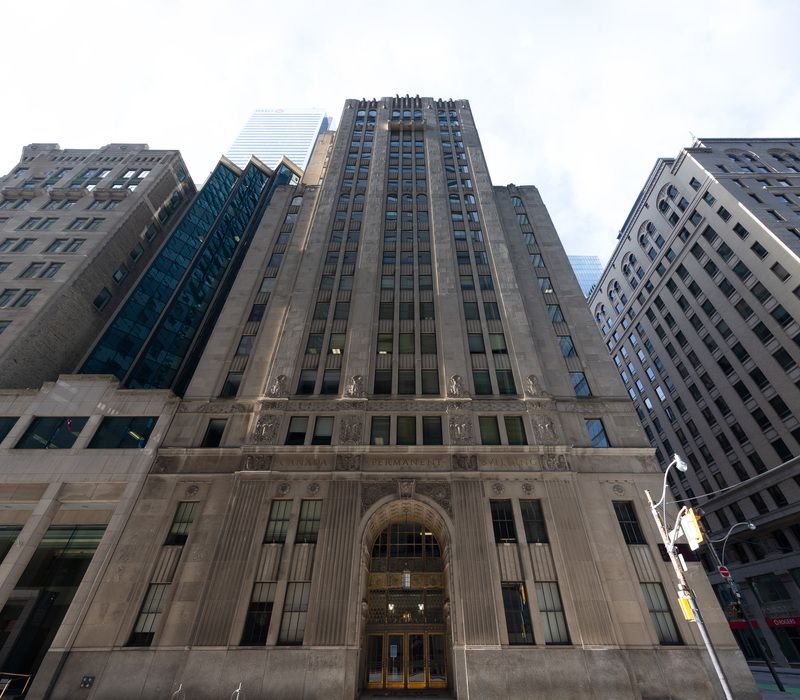 Built in 1931 and formerly known as the Canada Permanent Building, 320 Bay Street is an 18-storey office building located in the heart of downtown Toronto. Menkes will be implementing a major restoration of the building, improving the quality and service of the space, while preserving the integrity of the structure’s its history and architectural elements. Menkes plans to enhance the 1930’s façade, and has exciting plans for a street level reimagination of the Building. The revitalization of the 270,000 square foot space will include significant electrical and mechanical upgrades. The building is anticipated to be available for tenant fixturing in 2020. Please contact us for more information.